In summer, your boat brings family fun and on-the-water thrills. Who knew that come winter, it could deliver financial security and peace of mind? If you’re in need of some financial support this season, look to your garage for a potential solution. A pawn loan on your boat can bring the assistance you need, with a straightforward repayment schedule that works for you. Take a look at today’s blog to see the benefits of this simple solution. This time of year can feel financially demanding. 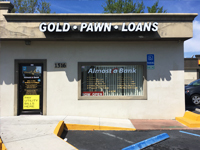 Gifts and other expenses, in addition to your basic monthly bills, can add up—but when you’re in a pinch, receiving a pawn loan can help. See it as a way to take off some of the pressure and handle the season ahead on a schedule that works for you. Above all, you want financial support that doesn’t disrupt your everyday routine. In that case, receiving a pawn loan on your boat can be especially helpful! Because it’s a leisure craft (one you might not even be using quite as much during the winter months), you can store it with Auto Pawn without it inconveniencing you or your routine. Speaking of storage, we have more resources than your average pawn store—meaning we can hold your boat, big or small, yacht to ski boat, for the time you need to make repayments. We’ll keep it safe and secure so that the storage and condition of your boat is not something you need to worry about during the holidays. 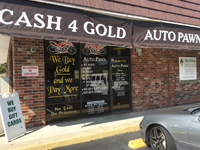 With Auto Pawn, we believe in straightforward practices—no surprises. We will answer all of your questions up front and work with you to find a repayment schedule you’re comfortable with. You deserve that peace of mind! 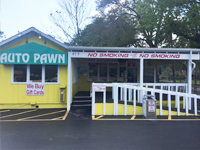 If you’re interested in learning more about a pawn loan for your boat, visit Auto Pawn today! We handle more than cars alone, and are here to help with your unique situation.